PCOS Challenge, Inc. Partners with Macy's for Eight Annual "Shop for a Cause"
ATLANTA, GA – (August 22, 2013) – Macy’s will partner with PCOS Challenge, Inc. to invite customers to participate in Macy’s eighth annual national “Shop For A Cause” charity shopping event on August 24, 2013. Customers can purchase shopping passes from PCOSChallenge.com now. Macy’s “Shop For A Cause” is a unique one-day only shopping event created to support local charities’ fundraising efforts, which has helped raised more than $46 million for charities across the country since 2006. By purchasing a shopping pass from PCOSChallenge.com, customers help support programs for women with Polycystic Ovarian Syndrome (PCOS), a hormonal and reproductive disorder that affects one-in-ten women. Pass holders will receive special discounts on most regular, sale and clearance purchases all day, but some exclusions apply. They will also enjoy a day of entertainment and special events at Macy’s. 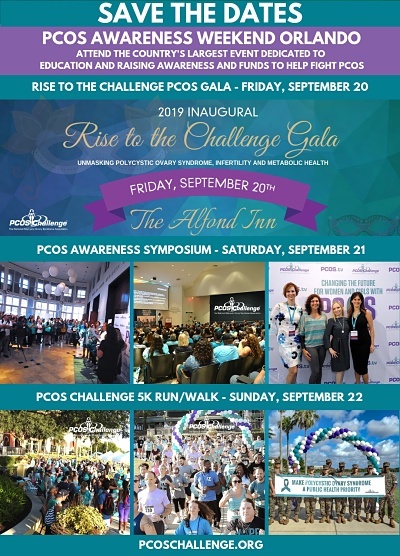 PCOS Challenge, Inc. is a 501(c)(3) nonprofit organization that provides support for women with polycystic ovarian syndrome through television and radio programming, educational workshops and online and offline support networks. With over 17,000 members, PCOS Challenge is one of the largest support organizations for women with PCOS worldwide.